Jennifer Aniston, Kendall Jenner, and all the really, really, ridiculously good-looking people gathered in New York last night, to celebrate the premiere of Zoolander 2. 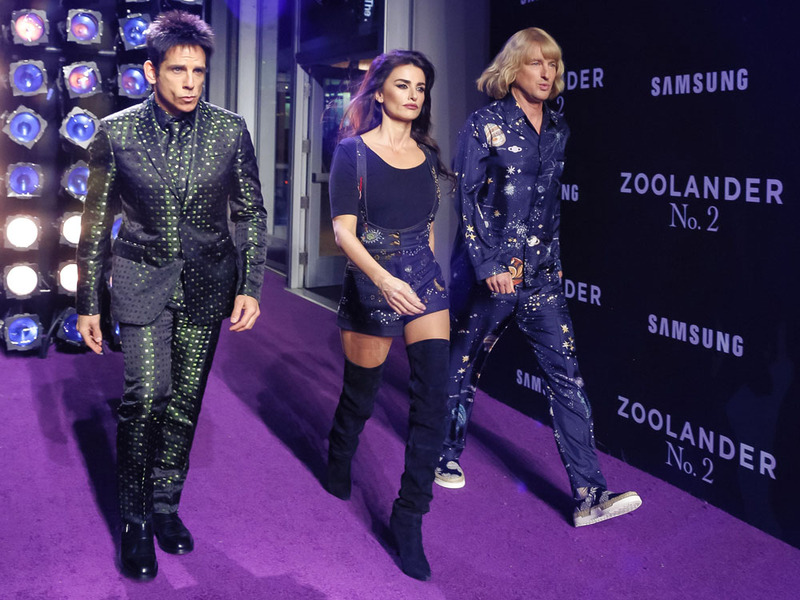 Before the screening had even kicked off, Ben Stiller and Owen Wilson instigated a runway walk-off – with real supermodels Kendall, Gigi Hadid and Adriana Lima joining in to give their best Blue Steel. New York designers Marc Jacobs and Alexander Wang also attended to give their seal of approval to the movie, as Will Ferrell worked it on the runway as evil designer Mugatu. Jennifer Aniston was out to support husband Justin Theroux (who has written the long-awaited sequel and has a cameo role) plus other major stars from Naomi Campbell to, um, MC Hammer, hit the purple carpet. Kendall does the modelling industry proud, striking statuesque super-poses and showing off those pins in her pink satin mini. Jennifer works a squared-off neckline with stacks of jewellery and a thigh-high split. Kristen looks incredible in gold Marc Jacobs lace – a vintage Hollywood vibe, we think. Also in Marc Jacobs, but with a peek of La Perla lingerie, Naomi reminds the next generation of supers who the original is. Star of the new film, Penelope wore a glittering mesh Balmain maxi, with stunning Rococo embellishment. We think our favourite look of the night, however, was Gigi Hadid’s, as she did dramatic beauty, vintage hair and a full-on glamorous one-shoulder gown, blasted in red, white and blue sequins. See all the looks in the gallery above, and tell us which look is your favourite on Twitter @MarieClaireUK.